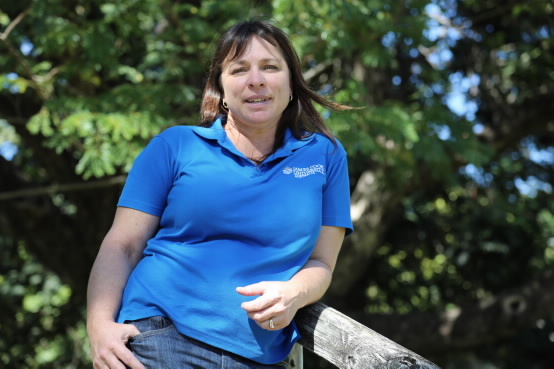 A James Cook University researcher is studying how women use digital technology in agriculture and how it can benefit them, their business and their families. High-tech farms may be giving women more of a say in how farms are run, and boosting the well-being of those on the land. Rachel Hay, a PhD student with JCU, said her work builds on a 2013 study that demonstrated the critical role played by women in the beef industry who use digital technology. Ms Hay said digital technology included computers, smart phones, drones, remote cameras, weather stations, satellite imagery, GPS collars, electronic ear tags and ‘walk-over’ scales to monitor cattle, pastures, and bore levels from the homestead. She said her new study aims to discover the benefits to rural women and families from using technology. “The 2013 study found that women were driving technology from the homestead for the paddock, highlighting a shift away from men as sole decision makers in the business, and more towards women playing a larger role in farming diversification and productive partnerships. “Adopting technology adds value to the business in terms of profit, and in terms of partnerships," she said. Ms Hay said that using digital technology could be beneficial to farmers’ well-being. “Saving time by using technology means women are able to spend more time with their partner in the paddock, reducing isolation and increasing well-being. “Many women interviewed in 2013 said they liked to spend the daylight hours out in the paddock and use the computer at night,” she said. Ms Hay said she is interested in how this affects farming businesses, personal career path, and family aspirations of women in agriculture. Ms Hay will be conducting short interviews at the 2015 Ag-Grow Field Days in Emerald from 9 – 11 July . Feel free to assist with her research by having a chat.